Upper shell has a slight ridge running down the center. Lower shell is usually cream coloured, marked with dark circles or blotches. Long red blotch usually found on either side of the head, behind the eyes. Range: Introduced into southern British Columbia, southern Ontario, southern Québec and possibly other areas of Canada. 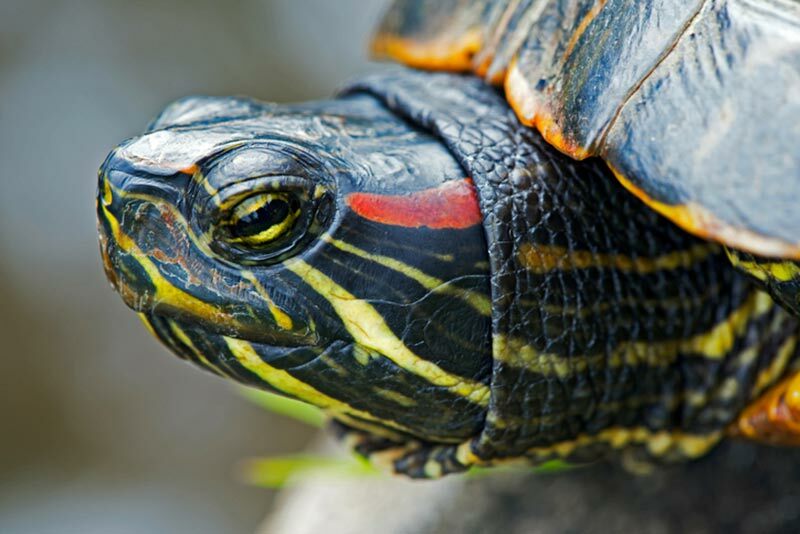 Notes: Native to the central/south-central United States, Red Eared Sliders were introduced to Canada through the pet industry. Commonly sold in pet stores, these turtles are often released into the wild once they become too large or inconvenient to care for.